SOLE SERUM: worth the money? Absolutely! If you are a heel lover like me, but not a lover of the pain they cause, you need this in your life. 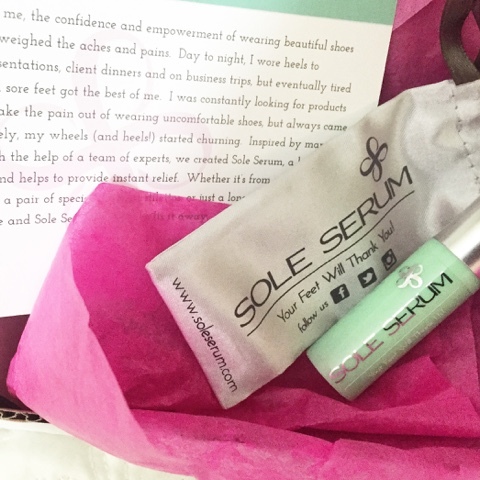 Sole Serum targets daily foot pain and provides instant relief so they said. I put this serum to the test a handful of times and it does the job. It recommends applying it every 3 hours, but I only had to apply once and I didn’t feel any pain whatsoever. It’s essentially a numbing serum even thought it doesn’t say that. However, my feet didn’t feel numb or weird. It is definitely worth the money and will be stocking up. Beauty is NOT pain!